When adding and “turning in” some Barnyard Manure, the ideal soil amendments, and plant nutrients for the perfect garden soil, have you ever wished the garden would merely “come back” by itself? Succession planting is one easy, easy way to have a continual harvest; simply plant short rows of your vegetables every 2-3 weeks. 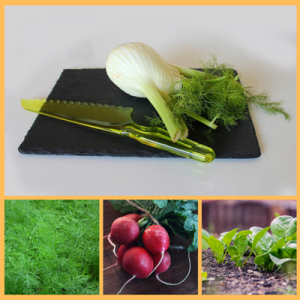 But, planting self-sowing vegetables is an even easier way to have early spring vegetables replant themselves in the garden. Early spring vegetables that bolt are often looked at as a bad thing. If a plant isn’t harvested often enough, it can go far beyond a flavorful harvest quality to an unpalatable bitter or spicy. So a natural inclination is to rip these plants out of the garden and plant something else in their places. If you have enough garden and space, resist that temptation and let the seeds ripen and drop, and the plants automatically will succession-plant themselves! The weather dictates when plants go to seed. 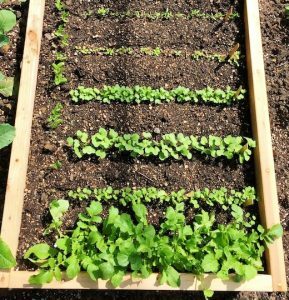 If temperatures soar before early spring crops have time to grow, vegetables like spinach, lettuce, and corn salad give up and bolt into seed stalks. 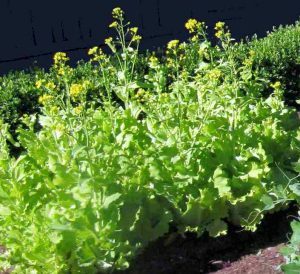 Biennial crops like broccoli and kale that experience a sudden dip in temperatures may think they’ve gone through winter and are entering their second growing season, and go directly to seed. The weather controls much of our gardening, and when plants bolt into seed, it’s merely within their nature; it eventually happens to all plants. 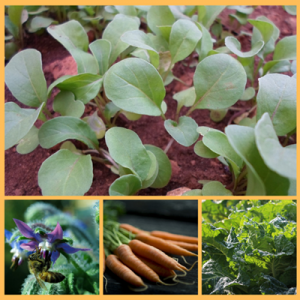 Controlling Self-Sowing Vegetables – Vegetables left to themselves go to seed as soon as possible, especially leafy crops like lettuce, kale, and herbs. Being harvested delays seed production. When their leaves are heavily harvested plants focus on regrowing new leaves rather than seeds. Bottom line is, if you allow some randomness and serendipity in your garden, you’re apt to be pleasantly rewarded. Borage often self-sows. Since it is the flowers we harvest and use, you will need to hold off on harvesting if you want perpetual sowing, but there usually are plenty of flowers to fill gardeners’ needs. Carrots can have a long growing season so not everyone will have enough time to ssee self-sowers mature. But if you choose shorter, fast-maturing varieties, like the small, round carrots, odds are improved. A bonus of letting carrots go to seed is the beneficial insects their flowers attract. Fennel likes to re-seed, especially leafy fennel. Like carrots and dill, fennel has flowers that beneficial insects can’t resist. You may want to harvest every last fennel seed, but allow a few to re-seed and you’ll be endowed with fresh, new plants.